The liberation of eastern Aleppo has been completed, according to the Russian Defense Ministry's Center for Reconciliation. Syrian government forces are now tackling separate pockets of militant resistance. “The operation by the Syrian Army aimed at liberating the militant-controlled neighborhoods of eastern Aleppo has been completed. The Syrian government forces continue to eliminate isolated pockets of militant resistance,” the Center for Reconciliation said in a statement. All women and children have been evacuated from militant-controlled parts of eastern Aleppo, and only radicals now remain, the Center confirmed earlier. 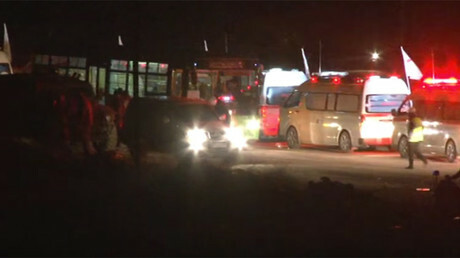 The evacuees from the last convoy told authorities that everyone who wanted to leave the rebel-held area had done so. 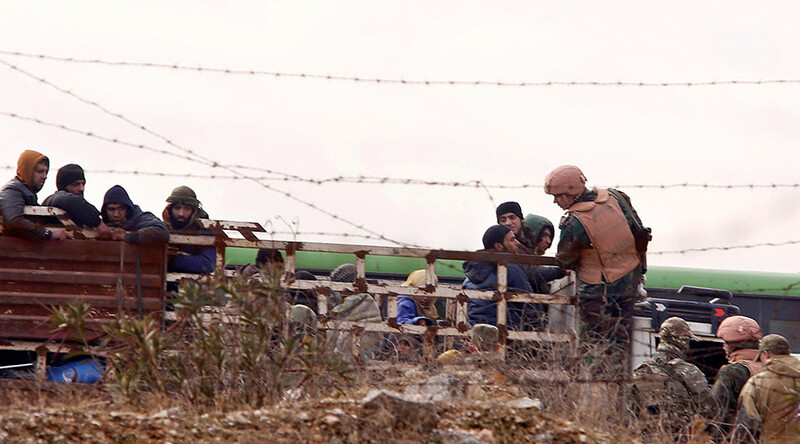 The militants that remain have been firing at the Syrian forces. 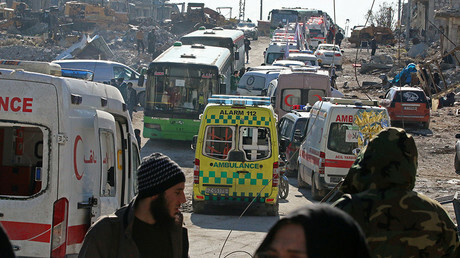 “All women and children who were in militant-controlled districts have been evacuated. “The operation of the Russian Center for Reconciliation to evacuate militants and their families from the eastern districts of Aleppo is now complete,” the center, whose aim is to bring about peace between the warring parties in Syria, said in a statement. According to Russian General Staff head of operations Sergey Rudskoy, government troops found several warehouses in eastern Aleppo filled with food and other supplies that had been hoarded by militant groups. “In the liberated areas of Eastern Aleppo Syrian soldiers had uncovered several warehouses of food which had been delivered from abroad. These products were only consumed by terrorists and members of their families while the population of Aleppo suffered from malnutrition,” he told the TASS news agency. Rudskoy added that the United States had, under various pretexts, rejected proposals to withdraw Al-Nusra Front fighters from Aleppo, so Russia had to take matters into its own hands. “Over the course of the year during our various meetings and negotiations with the Americans, we tried at various levels to agree with the US on practical steps to separate the moderate opposition from the extremists,” he explained. A total of over 9,500 people have been moved out of rebel-held eastern Aleppo since the operation was launched on Thursday, including 4,500 militants, along with their families, as well as 337 wounded. During the liberation, over 3,400 rebels from the moderate opposition voluntarily surrendered, said Rudskoy, around 3,000 of which will receive amnesty pending security checks. According to the latest figures from the Russian defense ministry, only two percent of Aleppo is still controlled by militants. “In some areas, there are still groups of militants from radical and irreconcilable gangs, who are firing at Syria troops,” the Center for Reconciliation noted. It added that Syrian Army units are continuing the liberation of the militant-held districts of the city. Earlier reports said that the militants opened fire on one of the convoys that was taking citizens out of eastern Aleppo and attempted to take hostages. A source in the militia headquarters also reportedly told Reuters that the rebels have evacuated everyone they planned to evacuate, and those who stayed did so to fight. “Those who stayed refused to leave and took up defense. The proof of their decision to stay is the [recent] shelling of a number of civilian neighborhoods,” the source is cited as saying.